Meeting of the Council for the Local Self-Government Development. 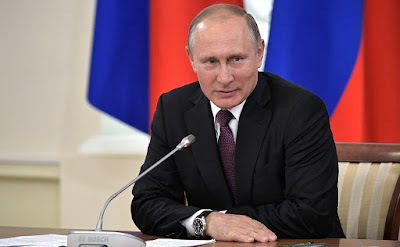 Putin.BLOG Regions Meeting of the Council for the Local Self-Government Development. Russian President chaired a meeting of the Presidential Council for the Local Self-Government Development. 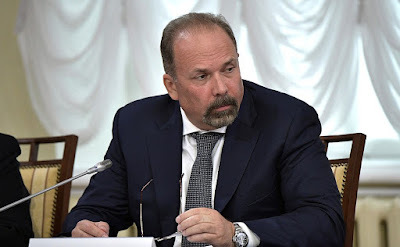 The meeting focused on the implementation of the federal project on building a comfortable urban environment and the involvement of the population in local self-government. 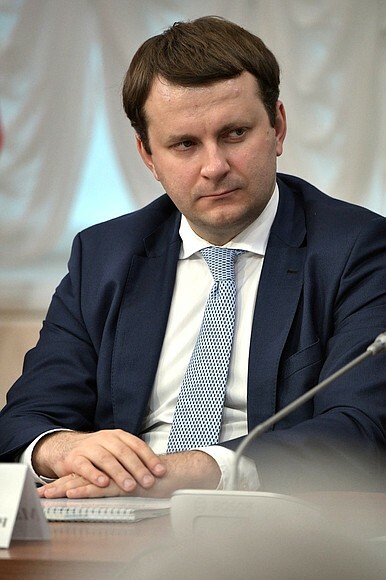 The main report was presented by Minister of Construction and Housing and Utilities Mikhail Men. Our Council for the Local Self-Government Development does not explore large or any other oil and gas deposits. Within the Council, we do not deal with space or Arctic exploration, or the construction of submarine or surface fleets. Everything I have mentioned is crucial for the nation. The issues we deal with at the Council seem to be simple, trivial and routine. However, the main thing, the Russian citizens’ standard of living, greatly depends on the quality of solutions to those issues. And this is, in fact, the major purpose of government at any level. 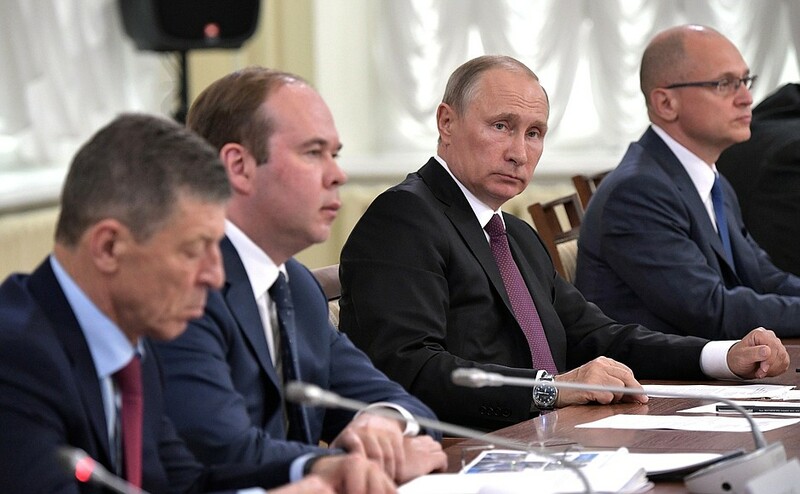 Vladimir Putin during a meeting of the Council for the Local Self-Government Development. Let me begin by saying that the Council for the Local Self-Government Development, which will mark its 10th anniversary this year, has recently renewed its membership considerably. It now has among its members representatives of all municipal entities from large metropolitan areas to small rural communities. Of equal importance is the fact that the Council unites municipal representatives from all federal districts. I expect that this will enhance the efficiency of our joint efforts. I suggest we analyze the principal issue: how do local self-government bodies organize their efforts to involve the public in solving the problems of cities, villages and communities; how fully they take into account people’s opinions, their initiatives and proposals. It is from these perspectives that we will consider guidelines for the further development of local self-government in our country. Municipal authorities are closest to the people, to their real needs, which means local authorities should make dialogue and commitment to feedback their priority. Only ongoing informal concerned communication with residents makes it possible to identify, to understand what really worries them, and to solve the current problems, to build development plans. 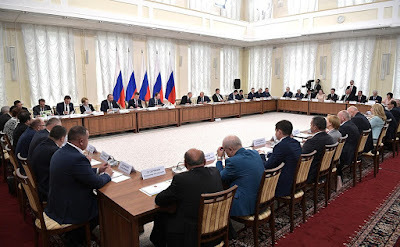 Vladimir Putin at a meeting of the Council for the Local Self-Government Development. The need for such approaches is increasing with each passing year. Our society sees the emergence of more and more proactive citizens; we can observe a growing number of volunteer initiatives, including at the local level. People are striving to do something that is needed, something useful. They have a number of fruitful ideas and proposals, and the key is that they have the will to bring them to life. It is very important that the authorities should have an equally strong will to heed and understand the proposals of proactive residents or groups. I have said a number of times that it is absolutely wrong to ignore people’s ideas and proposals, to engage in bureaucratic football. People’s concerned, active response to problems is a tremendous asset and a very good reserve for the quality of our work. Such citizens should be encouraged in every possible way. Yes, we do indeed have a number of tools. They include public hearings, territorial public self-government, local referendums, other referendums and some other mechanisms. We will review their application in different regions. 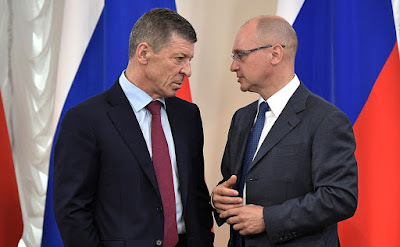 Here in the Kirov Region, they have their own, fairly interesting experience of involving people in solving the issues of local self-government. It includes a support project for local initiatives voiced by residents, and the so called “people’s budget” whereby residents take part in selecting particular ways of spending public money. A key direction that requires extremely close interaction between residents and local authorities is municipal improvement work. We have launched the implementation of the Building a Comfortable Urban Environment federal project. This year’s budget allocated 25 billion rubles for this project. Let me remind you: when we launched the project, its core condition was resident participation in identifying improvement priorities. To improve courtyards, parks and public spaces it is essential to take into account the opinions of the people who live in those areas, to do it the way people want it, not the way it suits the organizers of the work. 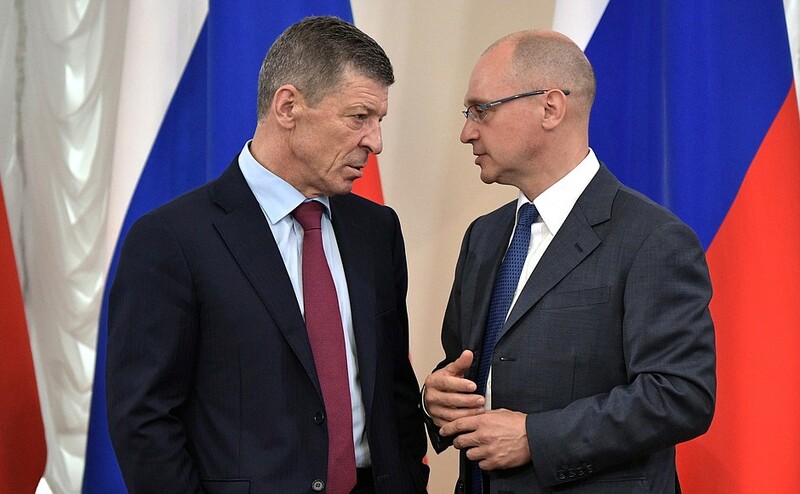 Deputy Prime Minister Dmitry Kozak (left) and First Deputy Chief of Staff of the Presidential Executive Office Sergei Kiriyenko before the meeting of the Council for the Local Self-Government Development. I laid special emphasis on this issue in my Address to the Federal Assembly. Unfortunately, not all leaders heeded it, and it was not perceived as a mandatory condition everywhere. Some leaders decided that they can get away with imitating regard for residents’ opinions, thus showing clear disrespect towards citizens. I will say more, even disregard. No results will be achieved with such a bureaucratic attitude, not with municipal improvement, and not – which is crucial – with gaining residents’ trust. We can see a totally different outcome in those municipalities where residents are actively engaged in improvement work. A really modern environment for living is being established and a careful, responsible attitude of the people to their courtyards, their streets and the city as a whole. Minister of Construction and Housing and Utilities Mikhail Men at a meeting of the Council for the Local Self-Government Development. 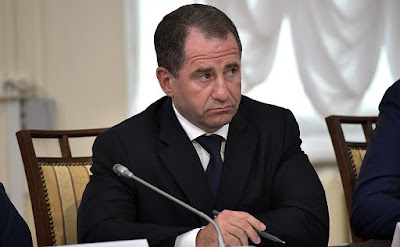 Presidential Plenipotentiary Envoy to the Volga Federal District Mikhail Babich at a meeting of the Council for the Local Self-Government Development. Minister of Economic Development Maxim Oreshkin at a meeting of the Council for the Local Self-Government Development. 0 Comment to "Meeting of the Council for the Local Self-Government Development."